The Saint XLT 24 has returned to the Stolen Bikes lineup again for 2018. For this go-around, Stolen stuck with the geometry of the previous year’s model (which they updated for that model year). And like it’s predecessor, it continues to hit all the high notes: Full chromoly construction, sealed components and 48-spline cranks. New for this year (and similar to the Zeke XLT) is the addition of the long-ish 300mm Pivotal post. Two new colorways for this year too. First off, the Trans Black/Gold Fade. And next, the stealthy flat black. I know I’ve said this before, but the Saint continues to be one of the best spec’d, best value 24s on the market. Hit up your Stolen dealer right quick if you’re looking for a good new school 24. So, we find ourselves here again…the end of the year. So without further ado, the top ten. 10. The refrain, “What’s old, is new again” is something that I found myself saying throughout the year. Case in point, Gary Turner’s return to the BMX world with a line of cro-mo frames…kicked off by the intro of a nice 26″cruiser frame. 9. Redline came out with their “nod to the past” PL-26 cruiser. Aping the style of it’s iconic PL-24 cruiser, Redline capitalized on the current interest in 26″ cruisers and introduced a 26″ version. 8. As alluded to above, 26″ cruisers continued to enjoy their moment in the sun. Interbike had 26″ cruisers on display around every corner it seemed. Heck, Skyway even announced a 26″ T/A for 2016, so this trend seems like it will continue. 7. 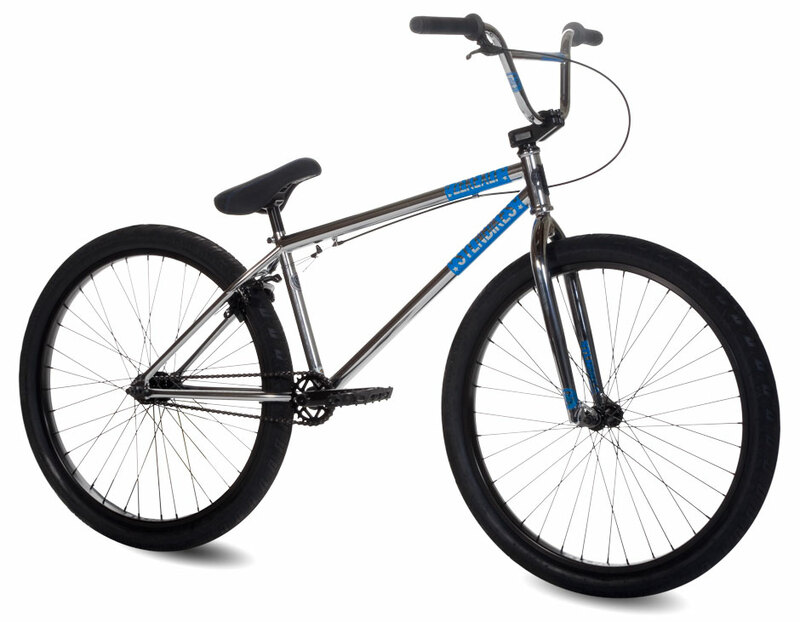 Colony surprised us with a well-spec’d new school 24″ cruiser. Nice to see another core company offering a big wheel option to riders. 6. Summer 2015 might well go down as the Summer of the BMX movie. A surprising number of entertaining flicks were available to choose from. I caught Turbo Kid in the theater and was grinning from ear to ear the whole time. 5. After months of teasing, anticipation and finally the introduction of the 24″ Chase Hawk tire…people were stoked on this high-performance tire option. However, its swan song seemed to come way too fast (with the announcement that Odyssey was dropping Chase from its team). Whether Odyssey will continue to offer it under a different name remains to be seen. 4. 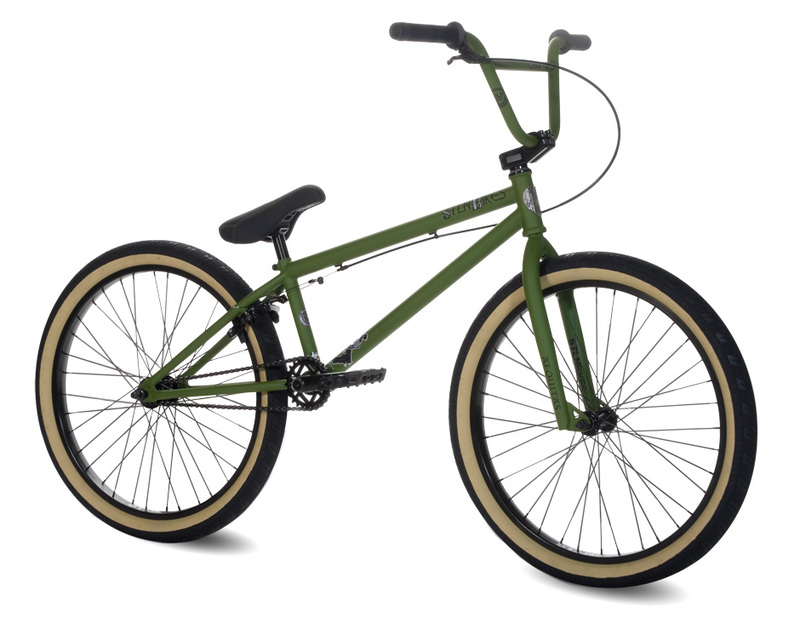 Encore Bikes, an outfit out of Canada, introduced both a new school 24 and 22-inch complete to their lineup. Nice to see these models, right out of the gate, from the new face in the market. 3. BMX Plus!, the longest-running BMX magazine, announced it was shutting down. A blow for sure, especially in a year with so much focus on the old school and bikes like back in the day. 2. Stolen Bikes continued to do the big wheels right. Dialed completes, limited edition tan tires and solid components. It’s easy to see why so many folks are rollin’ on Stolen. It’s up to us now to continue to make it happen…whether that’s holding a jam, piling into a car with friends for a BMX roadtrip or just getting out on a bike for some fun…we have to continue to make it happen. BMX has done a lot of looking back this year…but on the eve of 2016, let’s look ahead to see what’s next…to that next turn, that next jump, that next pedal. Cheers everyone…and Happy New Year! Let’s take a look at the 24″ first. You can get the Saint XLT in Black or Matte Ammo Can Green. The Black colorway comes with Limited Edition All Tan Joint Tires…that’s some freshness right there! 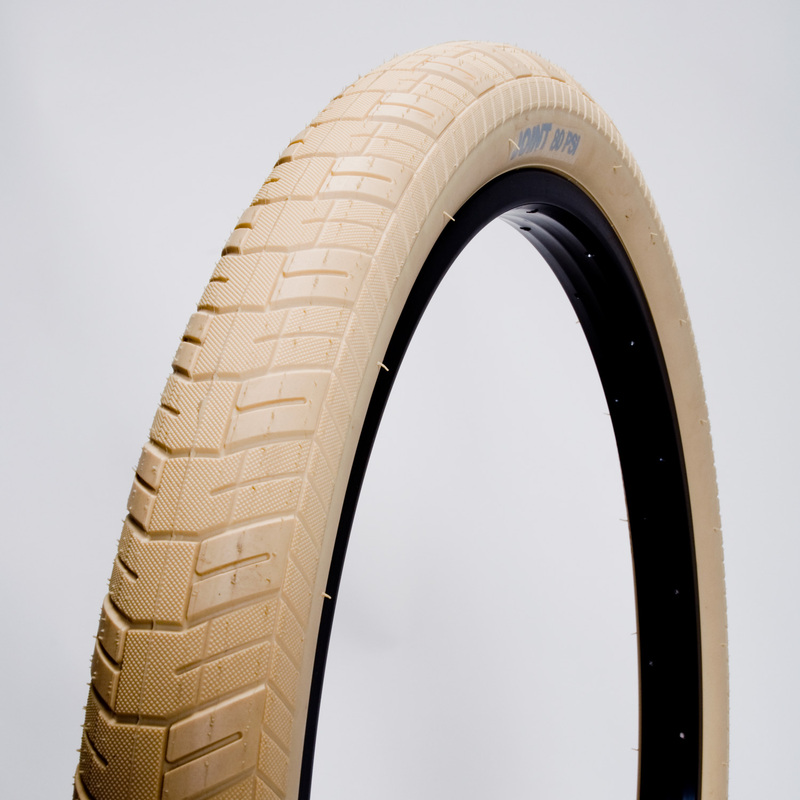 Those All Tan 24 x 2.2 Limited Edition Stolen Joint tires will be available separately. Don’t sleep on these though…Stolen is only doing one run of these tires for the US market so get on these quick/fast/in-a-hurry. The Zeke comes in Chrome. A nod to the old school, perhaps? Whatever the reason, I dig it. Pretty nice completes, that’s for sure. If building up a 24″ is more your thing…not to worry…Stolen is still offering their aftermarket Stolen Gold Frame & Fork. Have a peek at their new catalog for that, along with their rather extensive range of parts. Just spotted this over on Instagram. All-around renaissance man, Scott Towne is now rolling on a custom 24″ Stolen Gold. Scott is well-known for his daily shred sessions, his work in the BMX industry and his stints in a variety of BMX publications. The pics went up last night on his Instagram page and his Tumblr, fUNBRO, and I have to say his new rig looks pretty sweet. Looking forward to seeing the big bike being incorporated into his daily shred sessions.